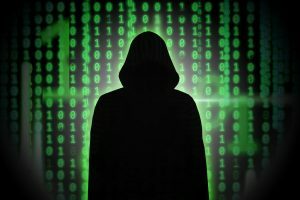 Hackers working for the Dutch General Intelligence and Security Service broke into the computers used by a powerful Russian hacking group often nicknamed Cozy Bear. Cozy Bear has been identified as one of two Russian government-linked hacking groups that broke in to the DNC shortly before the 2016 presidential election. The other group is usually called Fancy Bear. CrowdStrike, a leading cybersecurity firm, says the two groups operated independently. Agents with the agency reportedly gained access to the group’s headquarters and passed along information to the U.S. Central Intelligence Agency and National Security Agency between 2014 and 2017. The agency even managed to catch the hackers on camera. The reports were based on information from several anonymous intelligence sources in the Netherlands and the United States. At the end of 2016, U.S. intelligence officials said they believed the cyberattack was ordered by Russian President Vladimir Putin, citing a “variety of sources.” The attack was meant to inject chaos and doubt into the election process. The Kremlin has repeatedly denied meddling in the U.S. vote. The Dutch spies also reportedly used their access to help expel Cozy Bear from U.S. State Department computers in 2014. Volkskrant reported that the Americans were so grateful, they sent the Dutch cake and flowers. The Kremlin has accused the Dutch of attempting to fuel anti-Russian hysteria in the U.S. President Putin’s spokesman, Dmitry Peskov, said he had yet to see any official comment from the Dutch intelligence services on the matter. There was no immediate reaction from U.S. intelligence agencies or the Trump administration. Dutch officials declined comment.